Seat from floor 18" x 17 1/2" wide x 15" deep. 42" high. 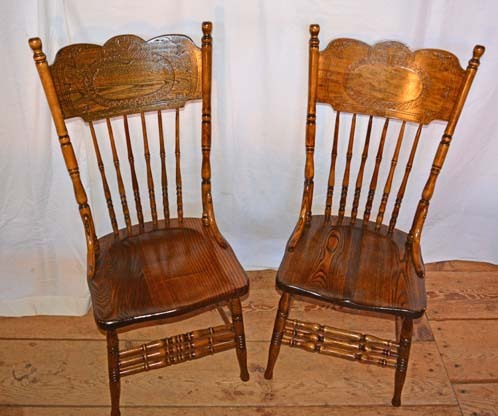 Here is a Pair of Pressed Back Chairs in he Wedding Ring pattern. 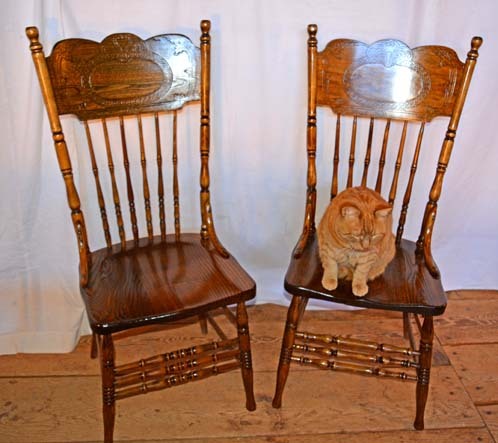 These are mixed hardwood chairs, so the cabinet makers of old used what they had on hand - no waste. 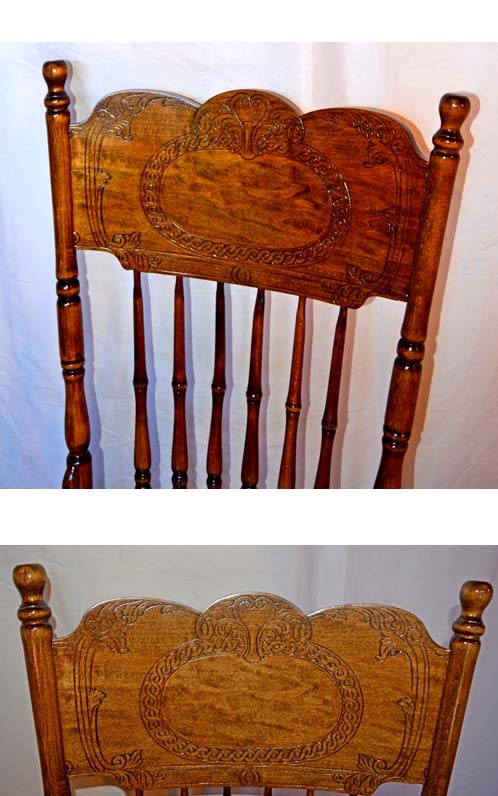 These chairs have wooden seats, both made of oak, but the backs, although the same pattern, are different woods, elm and maple. They are a sturdy construction with triple maple stretchers beneath and oak elbows extending from the backs to the seats. These chairs have "rabbit ears" meaning the side posts extend beyond the backs. They are great chairs, and a pattern that could be matched, so give them a good look.